Did you know that this beauty’s initial goal was to be an aeronautical engineer? Boy are we glad that didn’t happen. Priyanka Chopra’s journey took a 180-degree turn after she was crowned Miss World 2000. Accepting an offer to join the Indian film industry after her pageant win, she made her first film debut in The Hero: Love Story of a Spy (2003) as Dr Shaheen Zakaria — a doctor who’s assigned to operate on the legs of Reshma (played by Preity Zinta). She later went on to play lead roles in Bollywood box office hits Andaaz (2003) and Mujhse Shaadi Karogi (2004), and received positive reviews from critics for her breakout role in Aitraaz (2004). The 36-year old movie star, who lived and worked in the US in her teenage years, catapulted into fame after she signed with ABC Studios and was subsequently cast as Alex Parrish, the lead role in American thriller series, Quantico in 2015, making her the first South Asian to headline an American network drama series. She went on to star as femme fatale Victoria Leeds in Hollywood movie, Baywatch (2017), alongside movie stars Dwayne Johnson and Zac Efron. Apart from Priyanka’s remarkable career and her recent wedding to Nick Jonas (we hear the ceremony at the Umaid Bhawan Palace was nothing short of spectacular), she is also a stunning beauty with an exquisite sense of style. Here, we showcase three of her best looks and demonstrate how you can recreate them, for less. Yes, we know that Priyanka wasn’t in theme for 2017’s Met Gala (it was all about the quirks of Comme des Garçons). However, we were bowled over when she showed up on the red carpet in a custom Ralph Lauren trench which was transformed into a ball gown. The look is simple enough, comprising a trench coat, a pair of booties and a pair of oversized hoops, but the long dramatic train was a show-stopper, making her look both glamorous and edgy. 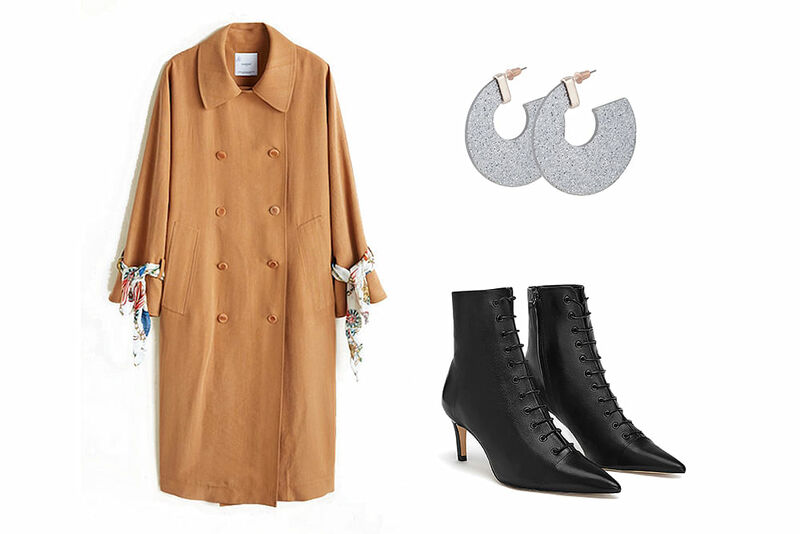 To mimic her look, pair a camel trench with black leather booties and put on some disc-like glitter earrings for that dose of elegance. Chase the dreaded Monday Blues away with a brightly coloured suit, just like how Priyanka did with her ensemble (her Insta caption says it all). Not only will you look professional with this #OOTD, it showcases your wild and experimental side without showing any skin. We chose to match a neon pink two-piece suit with a pair of amethyst sky-high stilettos for you to slay the day. Keep your purse simple to let your outfit pop. Something in black will do the trick. Be the brightest spark at a beach party by donning a bold yellow dress. Not only does it suit the occasion, a bright coloured outfit is also scientifically proven to improve your mood. Here, Priyanka flaunts her gorgeous legs in a cheery floral maxi wrap dress. 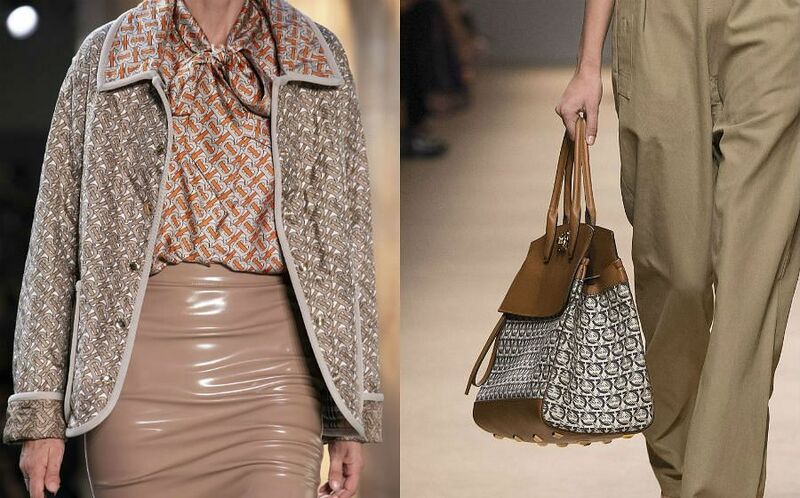 However, we suggest going for a piece that’s more timeless. Lose the print, but keep the length. Here, we chose a maxi sleeveless dress that allows you to keep cool in the heat. Match your purse to your dress and complete your ensemble with a pair of coral slingback heels. Glass of cocktail not included.